After some hard work and a few saves, we are happy to announce that we have sold another business! This medical practice in Claremont was established for over 20 years. 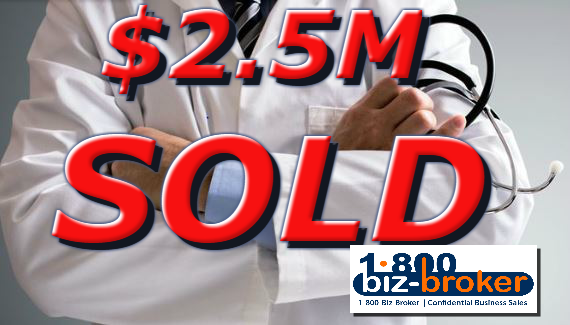 The doctor was ready to retire and we found the perfect buyer to take this business well into its next decades. We wish the the Buyer and Seller very well!! What did we learn? What can we apply to future successes? Preparation! Getting the business tax and financial statements from the doctor’s CPA and properly auditing them for discretionary earnings was key in establishing AND defending its value. Teamwork – Aligning the seller, CPA, bank financing and my team with the right information and goals was crucial to quickly finding and qualifying the right buyer. Financing – In this case, financing was key to maximizing full value for the seller. We secured two sources (need to have back-up!) to finance this deal at less than a fixed 5% rate for a 10 year term… WITHOUT real estate! Buyers are plenty! The medical sector is HOT right now. As long as the business financials are in good order, there are many institutional and individual buyers in the field. Right now, we have at least three qualified buyers, know any doctors looking to retire? Thinking about selling your business? How about a Business Valuation?